Ford is in the early stages of a plan to reverse the declining fortunes of its North American business. The company has dubbed the plan "The Way Forward." Union officials learned Wednesday that the way forward would not include the historic plant in St. Paul. Rob McKenzie, president of United Auto Workers Local 789, says recent meetings with Ford officials gave no indication the announcement was coming. "We'd been very optimistic about our chances until the last few days," McKenzie said. "This really caught us very much by surprise. We actually thought there would be a different outcome." Ford rolled out its cost-cutting plan in January, announcing three assembly plant closings and promising two more by the end of the year. Though St. Paul escaped the initial round, it was still considered a likely target, largely because it produces one product, the Ford Ranger small pickup, that was swiftly losing favor with consumers. 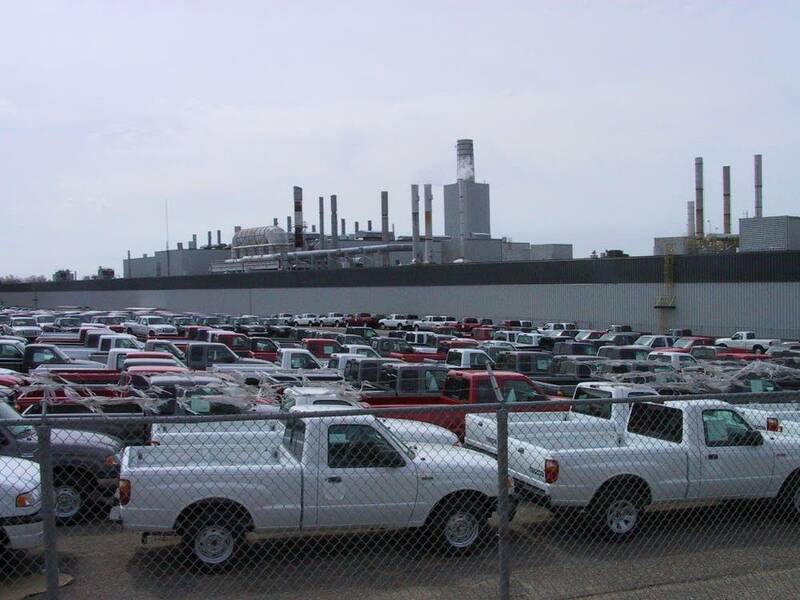 Ford expects to produce the 2009 line of Rangers in St. Paul, which means idling the plant sometime in 2008. Last year the company lost $1.5 billion in the North American market, and Ford's overall plan includes cutting up to 30,000 jobs. 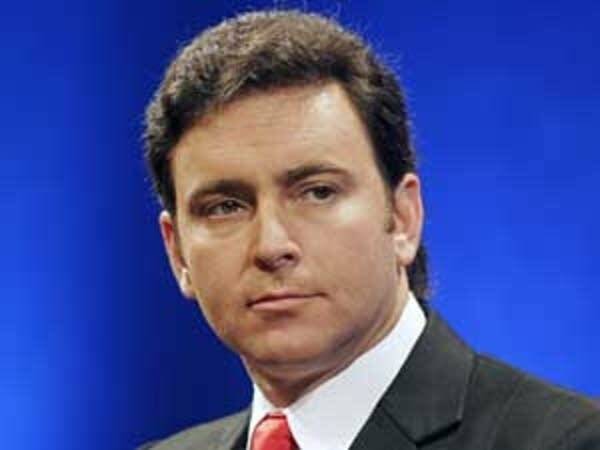 In a mid-day conference call, Ford's president of the Americas, Mark Fields, said the company is at a pivotal point in its history. "As difficult as it is to idle plants and reduce our workforce, we're absolutely certain that these sacrifices are very necessary to set the stage for a stronger future for our business," he said. 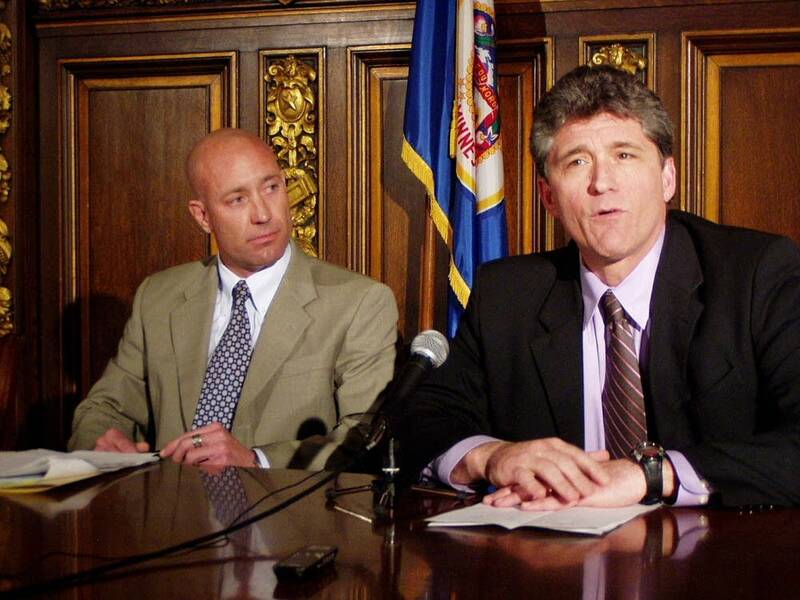 Governor Pawlenty's chief of staff, David Gaither, says state officials did all they could to prevent the closure, promising to match any other state's offer of tax breaks or other economic incentives. "While that news is disappointing, and not unexpected, we appreciate Ford giving us the heads-up on this, and the lead time they've provided us," he said. Pawlenty is away at an undisclosed location, celebrating Easter with his family. The governor had lobbied hard for a new future for the Ford plant, perhaps by converting it to produce flex-fuel vehicles that run on corn-based ethanol. Minnesota officials visited Detroit, and Ford officials came to Minnesota as recently as two weeks ago to discuss cooperation on ethanol. According to Gaither, those conversations continue, and there's still hope of persuading Ford to convert the plant to some other use. "We believe there's an opportunity to keep that plant open. We just need to work with Ford to see what other opportunities exist," according to Gaither. Union officials also seemed to hold out hope, including the local's chief negotiator Jim Eagle. It's very clear that this is a very final step on the part of Ford, and to be fair, probably not a surprising one. "We're kind of hard-headed and we don't like giving up and we're not going to do that," said Eagle. "The forces are against us, but we're going to trudge on and do every damn thing we can." Ford's Mark Fields, however, says there is no possibility of retrofitting or otherwise continuing to use the plant in St. Paul. "I want to be very clear that our decisions are final on the idling. It was influenced by a number of different business factors. The governor had offered some proposals on alternative fuel vehicles, and we do appreciate the governor's effort in this area. But in this case... these decisions on these plant idlings are final," Fields said. 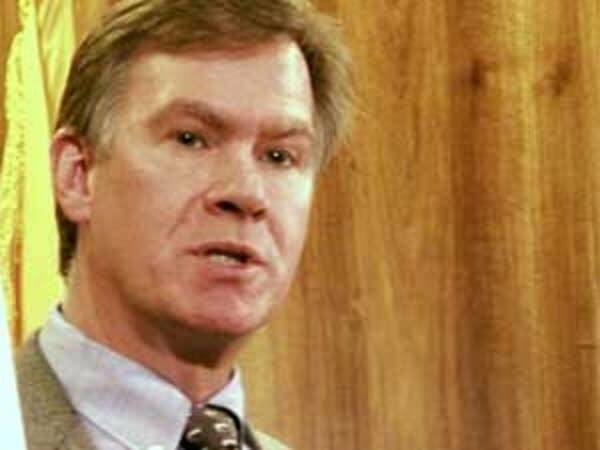 St. Paul Mayor Chris Coleman called the coming closure "an unfortunate reality." Coleman reacted to the news while announcing that the city had attracted a new business to a blighted part of town, creating some 170 new jobs. "While it's a sad day, there are so many signs to be optimistic, we should focus in on those," Coleman said. "For instance, the announcement we made today I think, is a really good sign of a company that will continue to grow and may well be able to replace a large chunk of those jobs that are lost today." Opinions vary on the job prospects for the auto assembly workers now at the Ford plant. Fred Zimmerman, a manufacturing expert recently retired from the University of St. Thomas, says the workforce has many older members who are likely to choose early retirement -- either taking a lump-sum buyout or collecting on the pensions they still have coming. "The people who'll have more trouble are those in their late 30s, 40s, early 50s. The problem is that there are not going to be a lot of jobs that require the skills that they have, because we keep losing our industry in general," Zimmerman. Another industry-watcher, Dave Cole of the Center for Automotive Research, sees much brighter prospects. Cole says while the job market is tight now, the coming wave of baby boomer retirements will create a strong demand for skilled manufacturing workers -- even within the auto industry. Cole adds that Ford workers who wish to forgo their continued health and pension benefits will likely be offered a substantial buyout. He cites the recent buyout General Motors offered laid-off workers, which reached $120,000 per person. He says Ford is likely to follow suit. "I think these buyouts will be reasonably significant and definitely provide a soft landing for the workers, particularly in light of the alternative job opportunities that they will have," Cole said. The state plans to tap $22 million in state funds for mass layoffs to help retrain Ford workers. Acting Commissioner of Employment and Economic Development Ward Einess says workers have the benefit of at least 20 months to prepare, and retraining help will be close-by. "One asset we do have at the plant is that we have MnSCU partnership training center right at the Ford facility," according to Einess. "So we're going to utilize that to the fullest extent possible to provide training to meet their needs." Real estate developers who could only wait and wish can now start taking a closer look at the 122-acre Ford plant site in St. Paul's Highland Park neighborhood. One of them is Jim Stolpestad, who's company Exeter Realty owns the Highland Crossing retail development next door. "I think the thrust of my thinking is that it's not a negative shake-up, it's a positive one." Stolpestad says its really too early to start making plans. Ford has a real-estate development company of its own, and might choose to hang on to the riverfront site itself. But Stolpestad says the potential is enormous. "It's an ideal location for a large, quality, mixed-use development including retail, housing, perhaps even some office," he said. "I've talked with some political leaders in town who will tell you off record that they think it could be a good thing for the city and for the region." One reason is the anticipated boost in the property taxes that could be collected by the city of St. Paul. While the overall economic impact might not match the Ford plant, subdividing the land into many more residential and business taxpayers could bring a windfall for the city. In its 82-year history, the Ford plant has grown a network of related business in the Twin Cities that will feel the pinch to some degree when the plant closes. L-Z Truck Equipment sits in another part of St. Paul, but has done business since 1999 as a so-called "through-shipper" for Ford Rangers. Companies ordering fleets of the trucks can have them sent across town to L-Z for bed liners, winches, or special paint jobs. 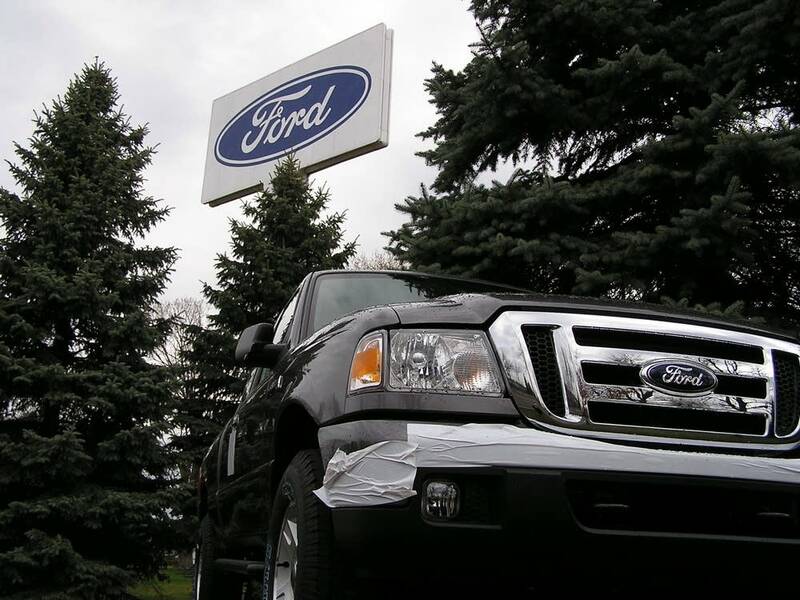 Vice President Steve Zeece Jr. estimates Ford Ranger work constitutes up to 25 percent of the company's revenues. But L-Z does even bigger business with General Motors, which has no plant nearby. Zeece says his company will adjust. "I wasn't jumping for joy when I saw that that was happening, but at the same time that's life," he said. "You have to roll with the punches, and we got a couple, three years to prepare for it and we'll be networking with Ford to see what we can do. We've already been doing that for the last couple months." And so Zeece will join the rest of St. Paul in preparing to lose an institution. But as he says, at least there is plenty of time to get ready. Jeff Horwich hosts the Minnesota Public Radio program "The Loop. Annie Baxter is a reporter at Marketplace.